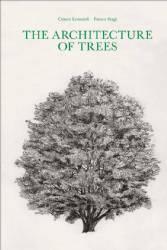 Legendary and unsurpassed botanical masterwork, large-format, features more than 400 quill-pen illustrations of 211 tree species, drawn in 1:100 scale, with and w/o foliage, and with tables of seasons and projections of shadows. 424 pp. Cesare Leonardi and Franca Stagi.